You’ve just got your first motorcycle. 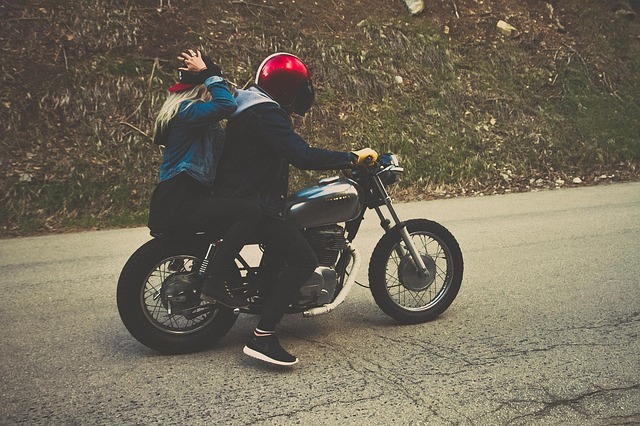 You’ve got the insurance, your helmet, and gas in the tank, and you are ready for your first adventure. While covering the basics are clearly important, there are many things that are crucial for a biker to carry, yet, often go unnoticed. Keep reading for the eight crucial items you need to make sure your trip runs smoothly. Whether you need to turn on navigation or make a quick call in case of an emergency, adding a Bluetooth to your helmet is cheap, easy, and totally worth it. Sena and Cardo both provide sets that work with a wide range of helmet styles. It’s no shocker that motorcycles break. Yet, many people hit the road unprepared for an emergency. There are plenty of small toolkits that work specifically for your bike. Get one. The CRUZTools Roadtech Kit is a pretty good choice for most bikers. Just as important as the toolkit, battery jump starter packs are a must-have on the road. Ditch the jumper cables and waiting around hours for roadside assistance. The NOCO Genius is portable, light, and a great pack to have for battery emergencies. A can of fix-a-flat can make the difference between a quick limp to the nearest gas station or being stuck on the road for six hours waiting for someone to come pick you up. You can pick up a can of Fix-a-Flat at most gas stations or auto stores. These are a must-have for long road trips. The inside of a helmet is LOUD, and exposing your ears to many hours of that noise can not only tire you out faster but cause damage to your ear drums. The Howard Leight Max Lite earplugs are perfect for a biker’s needs. Yes, we are living in a great technological age, with some of the most amazing GPS devices available. However, it is inevitable that you will hit a patch with no signal. Check out one of the maps designed for motorcyclists, such as Butler Maps, and you won’t have to worry about being stranded when you’re out of reach from cell signal towers. So all of those emergency situations that were described above? Many of those things can happen at night. Get yourself a headlamp, such as the Princeton Tech Headlamp, so that you have plenty of light to charge your battery or apply your Fix-a-Flat. Oh yeah – don’t forget the batteries. A lot of places, especially in smaller, more isolated areas, do not accept credit cards. It’s always good to keep a decent amount of cash in your wallet for any unexpected situations that might arise. While motorcycle trips are all about fun, in the real world, stuff happens. You need to have the tools and supplies to be prepared, no matter what twists and turns your adventure might take.